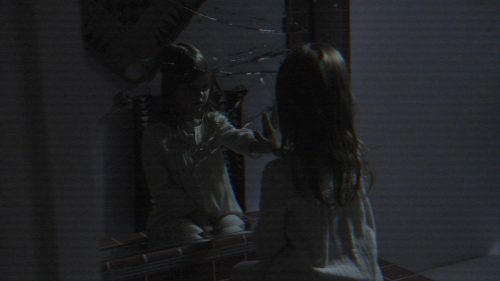 The final film in the Paranormal Activity series has been unleased on the internet. It also has a name, Paranormal Activity: The Ghost Dimension. This one, like the rest of the series, is to be released around Halloween. The standard date that all horror films try and get for their film. Even better. It’s in 3D. That seems to be the last ditch effort to bring life back into a horror franchise. So many have done it. From Jaws to Saw. Today it’s a bit different from the days of Jaws-3D. I would assume it has all the horror 3D clichés. Mostly things being thrown towards the audience. Arrows and axes are the norm. In this case it’ll probably be the evil entity that has taken over the house and the occupants. We have the first trailer for the film as well as a set of images, taken from the trailer. It seems one for the completest. If you have seen all of the rest then this is a must see. If you have seen any one of the previous films then you probably know what will happen to the family.